Dental Sedation Victoria is the result of the determination and clear focus of Dr Barry Creighton. Dr Creighton holds a Bachelor of Dental Surgery, which he gained at Sydney University. For some years, Dr Creighton owned a very successful private dental practice in Sydney. He was known among his patients as "the gentle dentist". Dr Creighton observed the benefits to both patients and dental practices of being able to offer gentle dental sedation at the practice and with the dental team with which the patient was familiar. In the past, the usual procedure has been that patients who are anxious or experience dental phobia when undergoing procedures they find unpleasant, are referred to a hospital for a general anaesthetic. So impressed by the benefits was he, that Dr Creighton embarked on the very challenging journey to gain appropriate qualifications and commence his own dental intravenous sedation practice. With that goal in mind, Dr Creighton was one of a select few to gain admission - and succeed in completing - a Graduate Diploma in Clinical Dentistry (Conscious Sedation & Pain Control), requiring an additional 2 years of post-graduate studies. 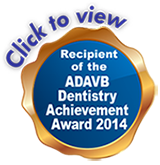 He has earned membership of the Australian Society of Dental Anaesthesiology. Today, Dr Creighton provides mobile services to dentists and their patients as principal of Dental Sedation Victoria. With his commitment to delivering exceptional quality care, he models excellence in dental care that reflects positively on the dental clinics in which he works.